Below we have links to several articles written with your piggy’s health in mind. Please browse through these links to learn about caring and training your pig. 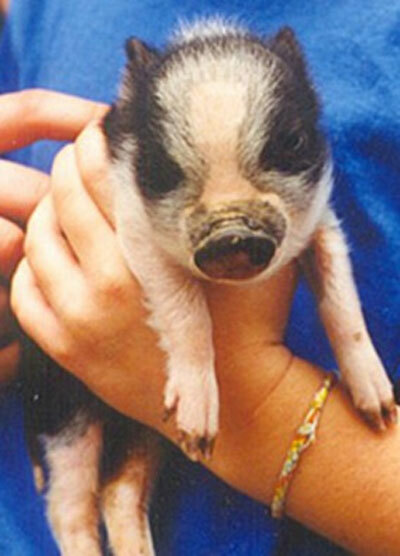 FEEDING – General guidelines for feeding your pig to keep him at his healthiest. WHEN TO CALL A VET – Questioning whether your piggy needs a call to the vet? Check out this list as a helpful guide. SALT TOXICITY – A great article about the importance of water and your pig. Included are signs of salt toxicity and what to do. BCS – A quick reference for how to tell if your pig is at a healthy weight. Developed by a vet to help owners keep their pigs at a normal, healthy weight. FAQs – If you haven’t found answers to your questions, please check our FAQ page.